I really like podcasts. I have only started really listening to them in the last 18 months or so but they have opened up a whole new world of content and information to me. 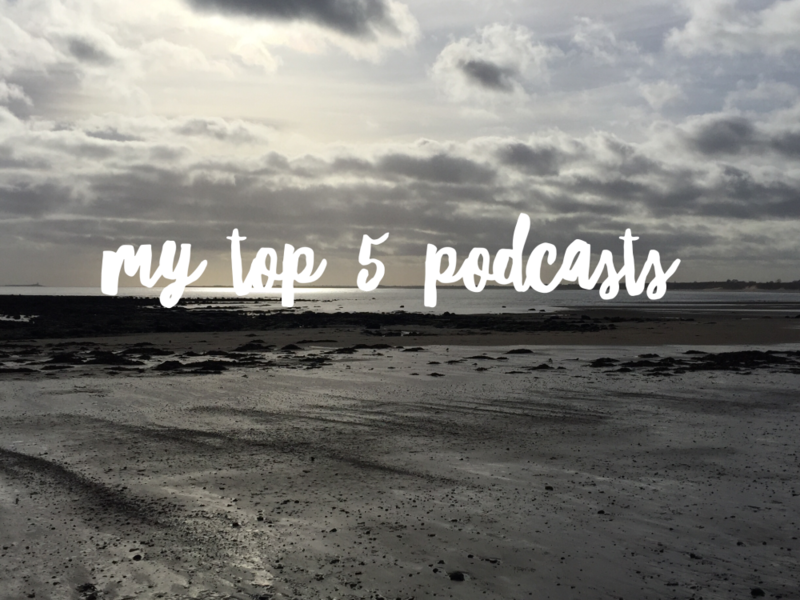 There are lots of types of podcast, it’s a vast world of online spoken content but me being me, I prefer to listen to podcasts that are about ideas, self development and the like. In one of the podcasts that I like, which is Gretchen Rubin’s Happier, she talks at one point about ‘pairing’ activities, often pairing something enjoyable with something more mundane or less pleasant. I realised that this is what I do with podcasts. I listen to them whilst walking the school run after dropping my son off (or before collecting him). I listen whilst I am sorting laundry and stacking the dishwasher. I listen to them on dog walks. To me, they are the perfect pairing to many tasks and unlike TV or video or other online content, you can listen and take them in whilst doing other stuff. Happer is a collaboration between Gretchen, a happiness expert and writer and Elizabeth, her younger sister who is a script writer. Gretchen lives in New York and Elizabeth lives in LA. They have a weekly podcast with topics around the idea of living a better, happier life and I think one of the things I love about it the best is that they are sisters, they know each other really well and this really helps the conversations flow. I love Dan Harris – have you read his book of the same name? He’s an American news anchor who discovered meditation after suffering panic and anxiety attacks and now that’s what his podcast is about. He’s had some amazing guests, it’s pretty much always an interview with someone about their meditation habit and he interviews a wide range of people from Matthieu Ricard to American sports players. It’s always about people’s meditation and general spiritual practice and he has a really accessible and humorous way with him so that the conversations rarely get too ‘woo hoo’ or earnest but he does take the subject very seriously. Sara Tasker is one of those people who has used instagram and social media generally to raise her profile. She’s a writer and photographer and she also runs course on how to use instagram and does coaching around that. I really like this podcast as it give me good ideas for how to engage online and how to promote what I am doing, but also because Sara (pronounced Sarah) is so lovely and warm and not at all full of her own self importance. Jonathan Field’s excellent podcast is yet another where he interviews some really great people who have achieved some amazing things with their lives. It’s about success, what makes people tick and also what it means to people to live a truly ‘good life’. It’s billed as a ‘weekly dose of inspiration’ and that’s certainly how it feels. The very successful TV series from Oprah Winfrey, Super Soul Sundays, has been covered into a podcast. Oprah interviews and talks with a fascinating selection of writers, philosophers, spiritual leaders, celebrities. The conversations are always along the theme of self discovery, conscious living and how to live a fulfilling life. Do you listen to podcasts? I’d love to hear which ones you listen to so please comment below or join me in my Facebook group! « Is your soul tired? Is comparisonitis hurting you and your business?